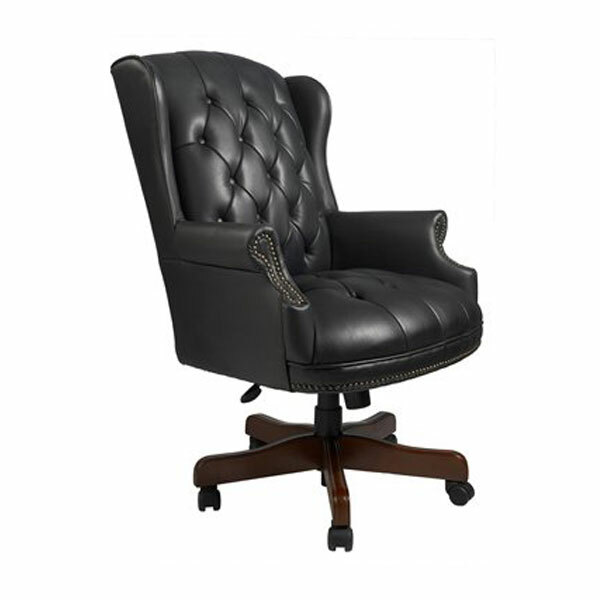 This chair has the classic button tufted styling and an elegant mahogany wood finish on all wood components. The antique brass nail-head trim is individually applied by hand. Also features the pneumatic gass lift seat height adjustment.